The kids and I have been having a blast during the 30 Day #LivingNowFoods Challenge. During week one, I made crepes. Week two, I made quinoa, which they hated. So they took their revenge when I left for a for a blogging conference, Eat Write Retreat, in Philadelphia. Lucie called while Iwas on the road, and asked if she could make brownies with the Living Now Organic Chocolate Fudge Brownie Mix. I said sure and arrived home Sunday night to an empty brownie pan – the stinkers! Luckily, there’s another box left, and I’m not going to share! Lucie, our resident baker and mischief maker, has also made chocolate chip cookies from LivingNow Foods Chocolate Chip Cookie Mix. These were so convenient to have on our road trip to Asheville a couple of weekends back. So far what’s wonderful about all the LivingNow baking mixes is that my non-gluten free family members love them as much as I do! I also decided to add a little bit of sweetener – Monkfruit in the Raw – since the bananas would bring a lot of sweetness to the bread. LivingNow Foods Gluten-Free Chocolate Chip Banana Bread Mix is sweetened with organic turbinado sugar, so I felt no calorie was the way to go. So, I made a batch of banana chocolate chip bread and avocado chocolate chip bread, and had my son, Nathan try them both. (Lucie’s not a good judge since she doesn’t like bananas.) The verdict? Nathan preferred the avocado chocolate chip bread! You know what, so did I! I think it’s because the banana bread is almost a little too sweet, while the avocado chocolate bread is more subtle. 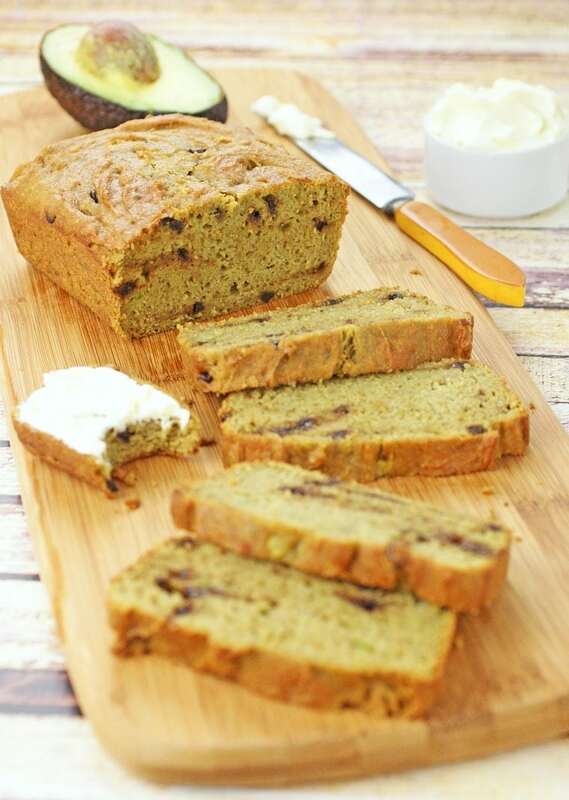 It reminds me of zucchini bread – sweet but not over the top. And the slightly green color of the bread? It was kind of cool! Place eggs in a large mixing bowl and beat well. Add mashed avocados and oil. Stir to combine. Add the LivingNow Foods Gluten-Free Chocolate Chip Banana Bread Mix into the bowl and stir until all ingredients are thoroughly combined. Lightly coat a 9” x 4” pan with cooking spray. Pour batter into pan. Use back of spatula to spread batter evenly. Place pan in oven and bake for 50 minutes or until a toothpick inserted into the center of the bread comes out clean. Remove from oven. Let cool for 15 minutes in pan. Then remove bread from pan and finish cooling loaf on rack. Posted in Baking, Breakfast, Desserts, Food Reviews, Gluten Free, Recipes and tagged avocado on June 13, 2014 by Anne-Marie Nichols. I would like to try the Organic Quinoa. I want to try the Gluten Free All Purpose Flour in my next baking recipe. I would try the Organic Brown Rice Flour first. I would try the Chocolate Chip Cookie mix first. I would love to try the GF chocolate chip cookie mix! Probably the first thing I would make is the organic quinoa for dinner and then I would look forward to baking. Thanks for a great giveaway! I’d love to try their all-purpose flour. Thanks for the chance to win! 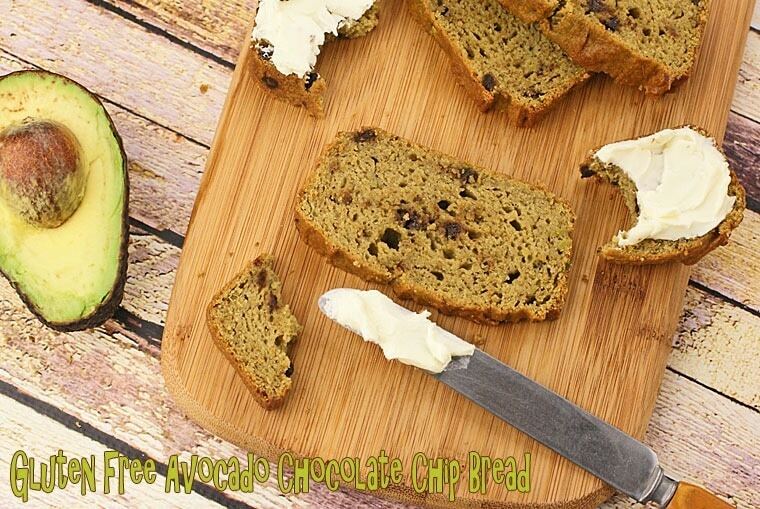 The Avocado Chocolate Chip Bread! The Banana Gluten Free Chocolate Chip Bread mix would be the first thing I would make. The amaranth – I have never tried it before. I would try the Chocolate Fudge Brownie mix first, would be a great treat! I would try the fudge brownie mix because brownies are my major weakness! I would go for the chocolate chip cookies. The banana bread for sure!